The Quiklok Z-726 is a double-tier, height adjustable, Z keyboard stand with a fully adjustable second tier. It's ideal for working musicians who use two keyboards, and has enough space underneath for a full range of pedals. It can be customised with additional accessories and weighs under 27lbs. 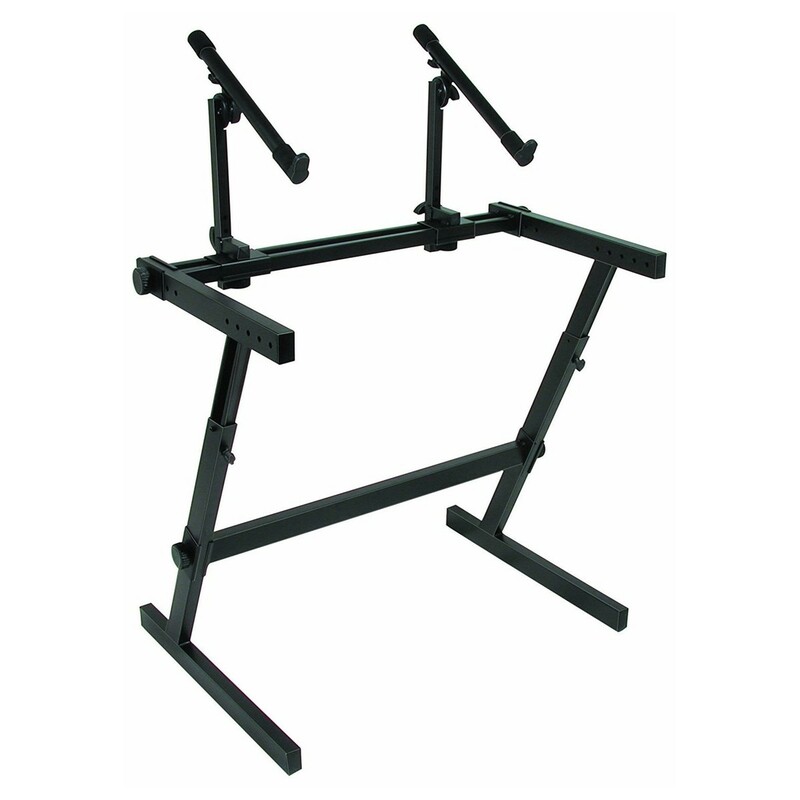 This keyboard stand is constructed with heavy gauge steel and computer-welded joints for dependability and longevity. Finding the right playing position is easy with both height and tilt adjustable tiers.